A free school in Newcastle that does not teach humanities, arts or foreign languages has been branded ‘inadequate’ by Ofsted in its first inspection. The education watchdog singled out the “unacceptable” absence of subjects at Discovery School, which also omits physical education, in its report from an inspection conducted in May. “The curriculum is failing to meet pupils’ needs and does not prepare them for life in modern Britain,” it said. STEM, an acronym that implies narrowing of the curriculum, is meant to be all about preparing for life in the modern world, a life of robots, 21st century skills and a global market, it is good to see that OfSted believes there is more to life than just these narrow goals. Some would argue this narrow focus is a result of utilitarian thinking. Jeremy Bentham, the great utilitarian, devised a curriculum for secondary schooling that emphasised science and technology rather than the subjects of Greek and Latin, a curriculum that would be clearly lacking in breadth. 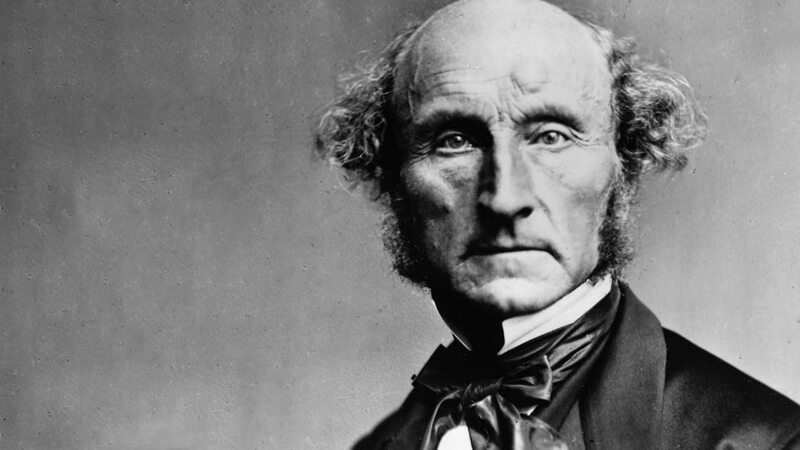 John Stuart Mill, a great admirer of his mentor Bentham, described him as being a great thinker but one who lacked the natural feelings that belong in a human being. As a child Mill was home educated and kept away from other children by his domineering father. He learnt Greek at the age of three and read a lot of Plato, in the original, by the age of twelve. He was never allowed a holiday as the potential of ‘idleness’ worried his father. They seemed to be the very culture of the feelings, which I was in quest of. In them I seemed to draw from a source of inward joy, of sympathetic and imaginative pleasure, which could be shared in by all human beings; which had no connection with struggle or imperfection, but would be made richer by every improvement in the physical or social condition of mankind. From them I seemed to learn what would be the perennial sources of happiness, when all the greater evils of life shall have been removed. And I felt myself at once better and happier as I came under the influence. Mill moved on to Coleridge and was to describe him and Bentham as ‘the two great seminal minds of England in their age’. If I had to live my life again, I would have made a rule to read some poetry & listen to some music at least once every week; for perhaps the parts of my brain now atrophied would thus have been kept active through use. The loss of these tastes is a loss of happiness, & may possibly be injurious to the intellect, & more probably to the moral character, by enfeebling the emotional part of our nature. Where Ofsted says: “The curriculum is failing to meet pupils’ needs and does not prepare them for life in modern Britain,” they are referring to life beyond the narrow confines of utility and this is to be applauded. And don’t think that by turning STEM into STEAM you solve this problem. STEAM is a bastardised acronym in which the arts are subsumed into some sort of cross curricular service of commerce, science and/or tech, this is not art, it is subterfuge.